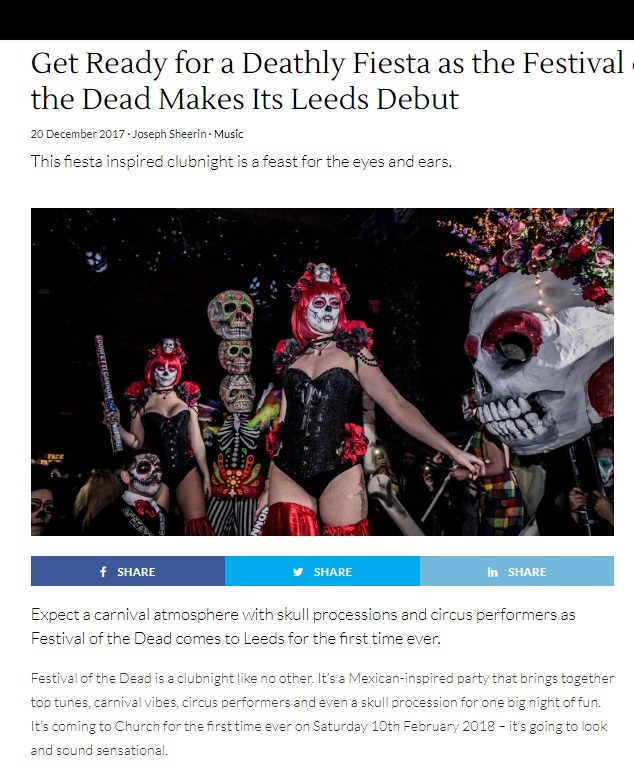 As the deathly deathly fiesta, Festival of The Dead, prepares for its Leeds debut on Saturday 10th February 2018 at the Church, leading entertainment site the Leeds List delves into what’s in store for the highly anticipated night. 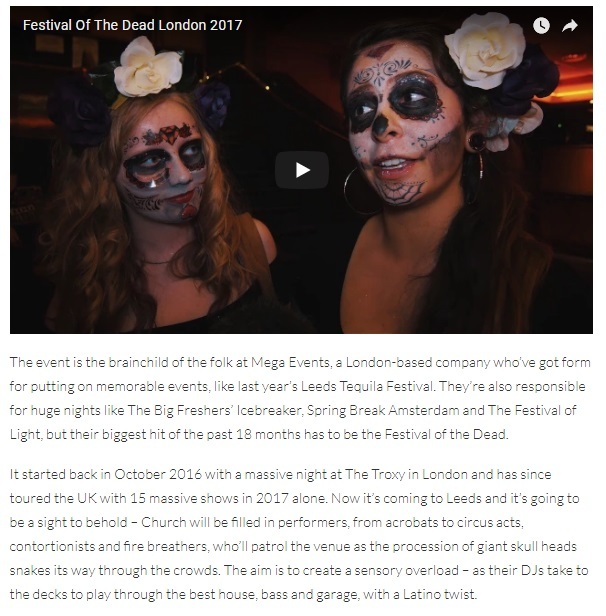 The Festival Of The Dead parties are unique – a real carnival atmosphere with giant skull processions and non-stop, jaw-dropping performances that wouldn’t look out of place in Cirque de Soleil – think acrobats, contortionists, fire breathers and more. Since it launched in October last year, it’s become an all-year-round genuine craze, with a total of 18 tour dates under its belt. 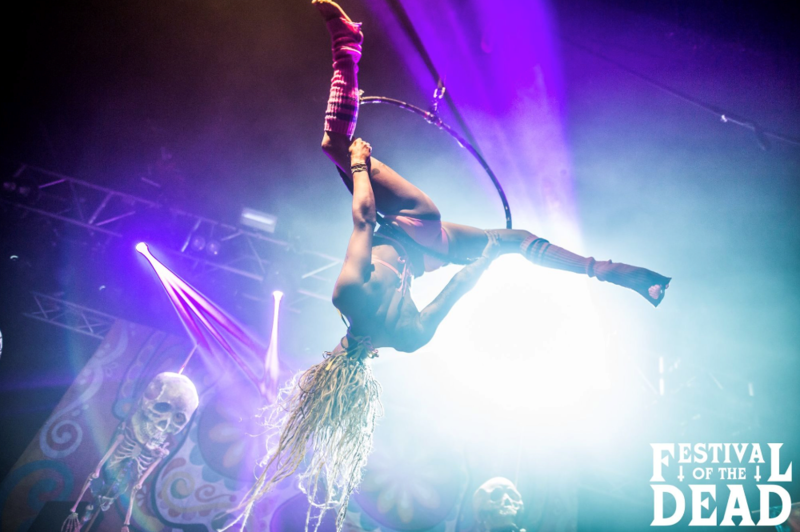 The fun continues into 2018 with Leeds being the first stop of the year. 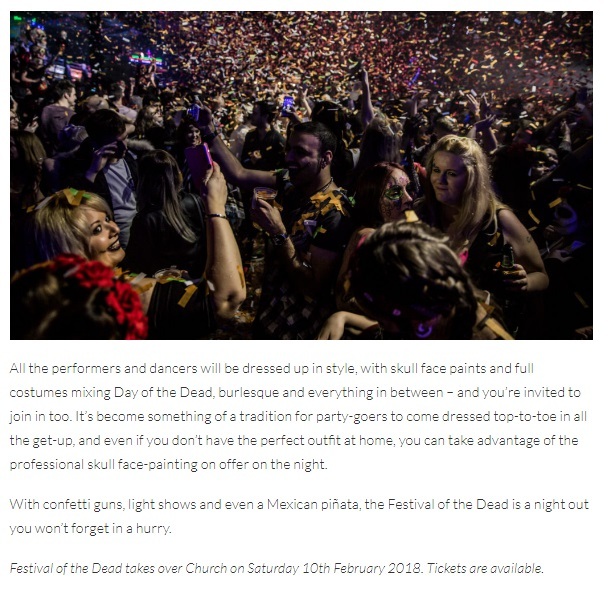 Guests really get into the spirit, coming adorned in Mexican Day Of The Dead inspired costume with fantastic face paint (professional skull face-painting is also available on the night), which together with a quality soundtrack of house, bass and garage, make for an amazing night out.